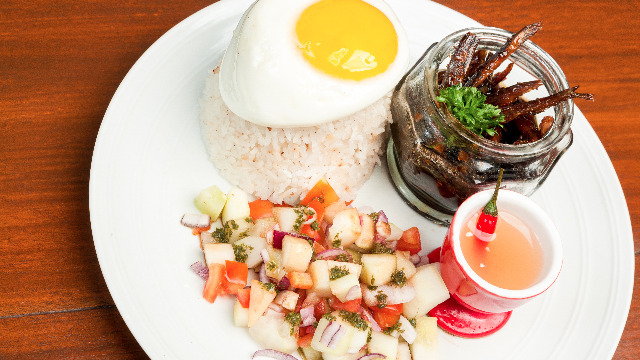 There’s nothing quite like classic Filipino food to keep us happy and busog. (SPOT.ph) With American diners, French bistros and Japanese Cat Cafes popping up all over the place, we’re spoiled for choice whenever the mood for international grub hits us. But sometimes, despite all the new exotic fare we’ve got at our fingertips, we just can’t help but crave some good ol’ Filipino dishes that have all those familiar flavors that we grew up loving and tasting. Of course, who says we can’t add a little spice to our homegrown recipes? 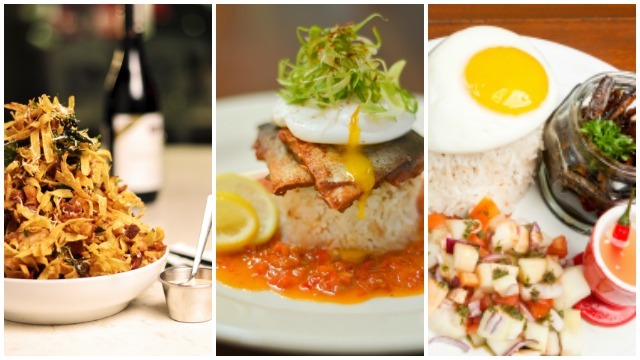 Check out these awesome restos that brought a new twist to some old favorites. With the Corazon brand quickly establishing itself as a source of excellent Filipino-Hispano cuisine, it’s no wonder El Corazon can serve up such satisfying dishes. Under Chef Florabel’s watch, every plate that comes out of the kitchen seems to bursts with flavor and familiarity, bringing us back to the big family gatherings of our childhood. 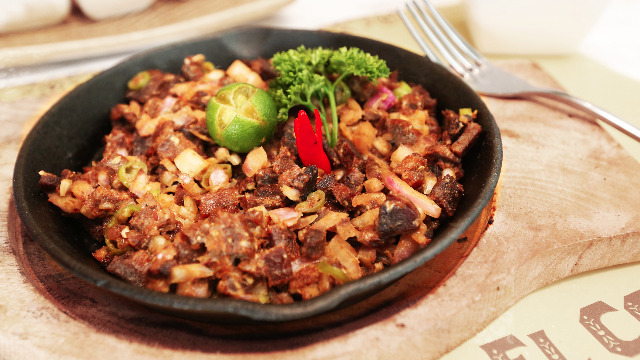 Don’t forget to try out: the San Bartolo (Php 265), a sizzling garlic balut dish, the Las Palmas (Php 360), which is ox tongue sisig sautéed in garlic, liver and secret spices, and the Ciudad Real (395), a filling lechon kawali topped with laing. Even set against the European flair of Mckinley’s Venice Grand Canal, Alab Restaurant’s stays true to it’s mission -- to serve up authentic Filipino food with little pretension but a whole lot of heart. Featuring signature dishes from the country’s many regions, to dine there is like getting a taste of all the best food our colored culture has to offer without having to leave your seat. Don’t forget to try out: the Adobong Pula (Php 290), a classic rendition of our most famous dish, the Penuneng (Php 150), dinuguang longganisa served with vinegar dip, the Okay Sarap! 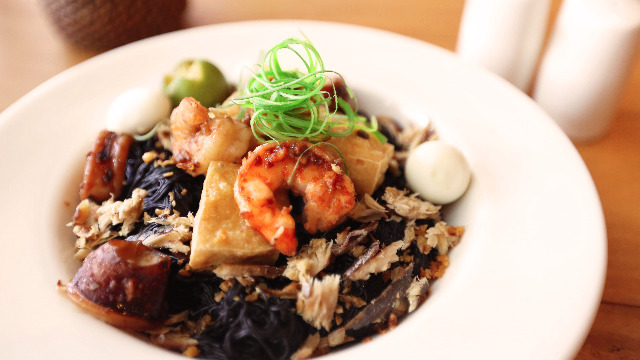 (Php 128), crunchy ugoy made from hipon and kamote perfectly paired with a garlic-vinegar condiment, and finally the Palabok Negra (Php 240), which has black rice noodles in a starring role. There’s always something delightful about classic dishes that have been masterfully reimagined. 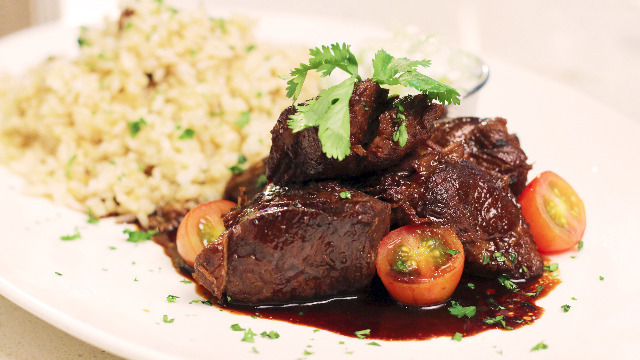 The Burgos Circle branch of Locavore offers exactly that, taking our local cuisine to the next level by using French techniques on traditional Filipino flavors. Seemingly everything on the menu has an innovative twist to it that will leave you pleasantly surprised. 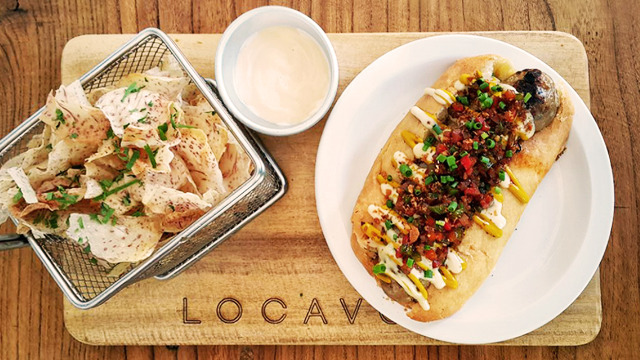 Don’t forget to try out: the Sisig Sausage on Bun (Php 285), sisig on homemade pandesal and served with Locavare’s labuyo aioli sauce, the Kare-Kare Wings (Php 275), deep fried golden chicken wings given the kare-kare treatment, and the Lechon and Oyster Sisig (Php 380), which features deep fried oysters, lechon bits and adobong liver mousse. Beautifully presented and perfectly executed, the dishes served at Kettle are classic comfort food done right. With a menu full of guilty pleasures -- we’re talking about golden fried chicken, crunchy pork belly and melt-in-your-mouth lamb here -- there’s really no other choice but to indulge when you’re at this Newport Mall restaurant. Don’t forget to try out: the Pork and Potato Strips (Php 389), one of their most famous dishes of lechon-style pork belly and potato, and the Australian Lamb Adobo (Php 499), slow-cooked lamb served with tzaziki and truffled mushroom brown rice. For a lot of people, breakfast is not only the most important, but also the most delicious, meal of the day. Where would we be if we didn’t have our typical tapa/long/pork-silog to start our morning full and satisfied? Obviously, the people over at Early Bird Breakfast Club thought the same, and did us all a favor by serving breakfast chow the whole day through. Don’t forget to try out: the Tenderloin Tapa (Php 375), which is beef tenderloin in sweet marinade, the Lemon Butter Bangus (Php 325), pan-seared fish paired with garlic lemon butter relish, and the Sweet and Spicy Tuyo (Php 295), that has the staple salty dried fish drenched in the Filipino signature flavors.